2 Days Trip to Shimla- Shimla is one of the most sought tourist places in Himachal Pradesh in India, popularly known as the Queen of Hills and one can easily plan for a 2 day trip in the arms of this sightseeing and revive spot in India. If one needs to plan for Shimla, it is advisable to visit during October-November or even from march-may, monsoon season should be avoided to visit this alluring place since this place experiences extreme climate as situated in the lower ranges of Himalayas, though it is bit difficult to mark the best time to visit Shimla , it even depends on tourists taste of preference, i.e, what kinds of activities should one needs to explore, since this place offers activities on seasonal variations such as paragliding can easily be enjoyed during mild summers and not during peak winters since then it is a bit risky affair, and if one talks about skiing and ice- skating then the best time are the peak soothing and extreme winters. 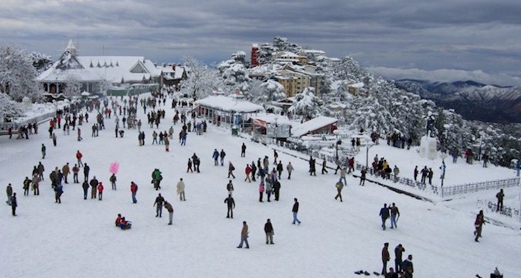 There are many beautiful places to visit in Shimla, one can easily mark the popular attractions in Shimla, which can be explored easily in a 2-days trip. 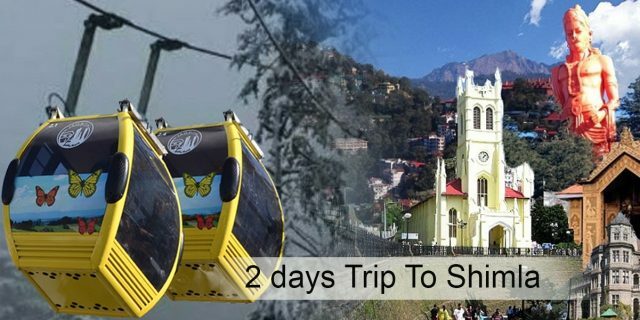 To start your journey to explore Shimla, one should take a thrilling Jakhu cable car ride which also lies among the popular attractions in Shimla. 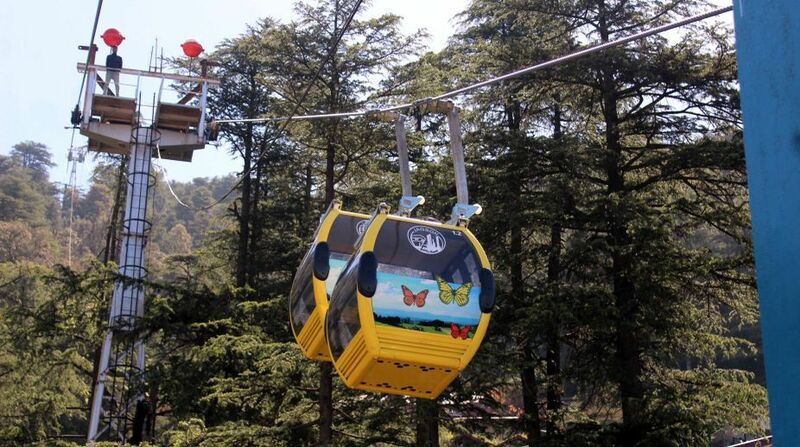 Jakhu ropeways are the best-recommended ride to visit the Queen of Hills while planning a 2 day trip to Shimla. It is not only time- effective but also cost-effective as tourists need to pay some minimal charges which are considered as economical if we talk to explore Shimla with the help of any other mode since it provides safety and perfect management from the Gondolas. The Ropeways are a perfect and popular destination which gives breathtaking views of the Himalayan hills, hence, tourists should pre-book their tickets for the Jakhu cable car ride with the help of jakhuropewaysshimla.com, since it has a great demand especially, during peaks when visitors plan for a shorter span of time and they want to enjoy the allure of the silent valleys. After that one can visit the Jakhu Temple which is the most renowned temple and to reach there it takes more than an hour. After the long back walk, one needs to delight your hunger, since one started from morning, one needs to serve his stomach too with a delightful appetite , and for this nothing is satisfying more than the Chole Bhature of Shimla at Ram Prasad Chole Bhature Wale, known far and wide for its lips smacking chole Bhature and is the best place for breakfast. In the noon time, when you are full, you can adhere your journey to Christ church and explore purity, faith, peace, and humanity hidden in the walls of Christ. Then one can even look for its refreshment in the various restaurants as their in the Mall Road. Before exploring the evening fascination, one may move to their hotels to charge up their batteries for the remaining exploration. Once you get refreshed, you may head towards the Summer Hill for a long walk and enjoy the magnificent Viceroy Lodge which shall drove you in the world of fantasy. The highlight of this place is the evening sunsets when the sun comes down the hills, this sight view left the visitors speechless. Now to end up your day, one can visit Silver Oak offers famous delicacies of Himachal Pradesh. On your second day of Shimla, head to other places in Shimla, such as Kali ka Tibba and wholly enjoy the peaceful atmosphere and scenic environment, with the spectacular vistas. There are many things to do and visit their, hence, after that one can visit the nearby places which one can easily cover in one hour approx such as visit to Mohan Shakti heritage park and Caldera golf course, which feast your day with the freshness of Almora allure of lush green natural heritage in Kerala Forest. After that, you may visit Kufri for the adventurous fun and sports and enjoy the troughs of snow-capped mountain peaks and splash fountains while taking a stroll in the numerous parks such as the Himalayan Nature Park, Indian tourist park, and enjoy the pleasant view. Later on, one should move their journey to Fagu top and enjoy a long walk over the Shivalik ranges and enjoy the spectacular beauty of the pine cones, where one can buy beautiful showpieces which are made itself from pine cones. Later on, one can return to Shimla and head over the Chadwick Falls, which is surrounded by hills and forest and is encircled by thick green woods steep hills and is among the popular attractions in Shimla and even one can enjoy the cascading falls and enjoy the sip steaming tea from the local vendors, and while moving all through even still, if you have energy then you may even rejoice yourself by splashing in the icy cold waters. After strolling towards all through, end up your trip with some rich Himachal food over Mall road or even in the Snow King Retreat where you can have twin benefits, cuisines and scenic view of Shimla with the help of Shivalik range of mountains, and make your journey a perfect one and then walk towards the hotel for check out by taking a number of memories and gorgeous view of the lit up town with a single smirk of an eye. Previous articleWhy is Jakhu Ropeway the best mode of transport to go to Jakhu Temple?